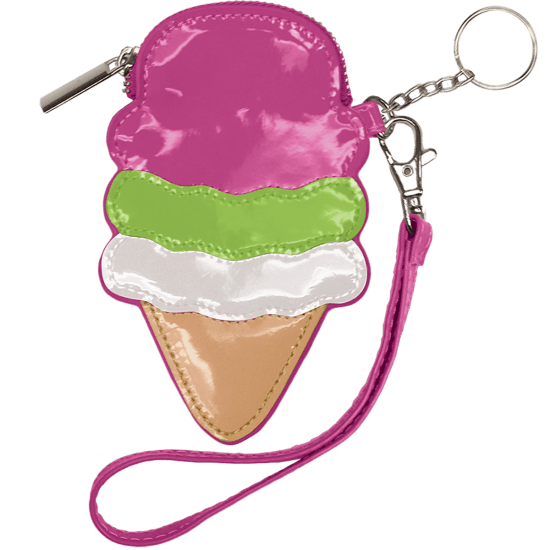 Our ice cream cone purse key chain is as sweet as can be. A triple scoop of your favorite frozen treat that keeps your small must-haves organized and safe? Yes please. This bite-sized bag is a big winner.